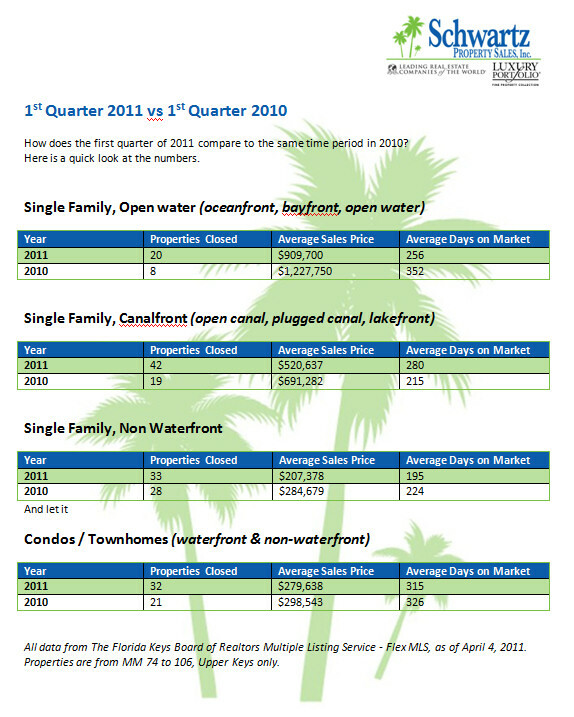 Results from sales activities in the Upper Keys (including Key Largo, Tavernier, and Islamorada) from the first quarter of each year are now in and we're pleased to announce, things are looking good. 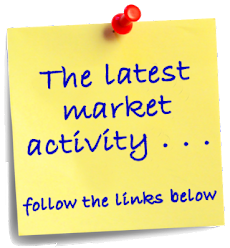 Grant it, sales prices are still inching downwards, but if you look at the number of transactions in each category, there is an increase in the number of properties that are selling - with the number of open water homes and canalfront homes sold more than doubling. 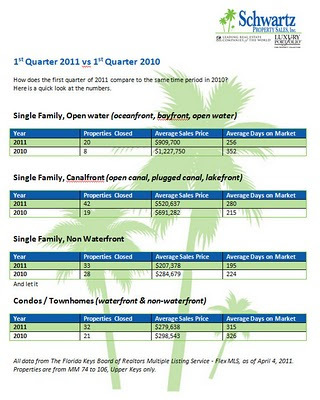 Waterfront homes in the Florida Keys are now more affordable than ever before, so it really doesn't come as a surprise that more of them are selling. Dry lot homes, which used to lag behind waterfront homes in terms of numbers sold, are becoming increasingly popular with buyers who previously couldn't afford a home in the Keys. These dry lot homes are becoming a great way to enjoy homeownership and the Florida Keys lifestyle at an affordable price. Clicking on the chart will enlarge it.